Spacefaring elves maintain much the same religious traditions as their terrestrial brethren, and priesthood structure and appearance varies little amongst those spheres nominally under the jurisdiction of the Imperial Navy. Priests can be found serving in high numbers on virtually all Armadas, and most Men-o-War will have at least one amongst their initial crew. Armadas generally have a small shrine dedicated to the whole elven pantheon, while IEN outposts and crown stations have at least one small temple with multiple shrines. Numerous holy orders and priestly sects operate within the umbrella of the IEN, while even more operate independently to further the goals of their deity. Several years ago I compiled a complete dictionary of Realmspace elvish, largely because I found it frustrating that all the other Elven dictionaries out there used Tolkien elvish as a base and added Espruar (Realms elvish) words. First of all, I didn’t feel this was necessary because Espruar is an essentially complete language in and of itself. Secondly, even if it were not, the grammar, rules and syntax of the Tolkien elvish tongues are completely different from those of Elvish, and melding the two creates a true Frankenstein’s monster of a language. Click on the image or on the link below to download this PDF! Ideas percolating . . . The Lion’s Heart is a great multi-faceted gemstone over five feet across. 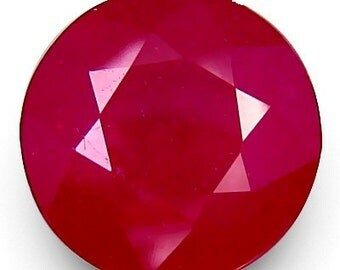 It appears to be made of crimson-hued diamond, but is far harder than any known substance. The overall shape is circular, but it seems to pulse with a life all its own. The Heart emits a low, reddish glow and has a low, deep rhythmic sound resounding from it, as if it were a living, beating heart. A young, glittering collection of stars looks like an aerial burst and is surrounded by clouds of interstellar gas and dust — the raw material for new star formation. The nebula, located 20,000 light-years away in the constellation Carina, contains a central cluster of huge, hot stars, called NGC 3603. 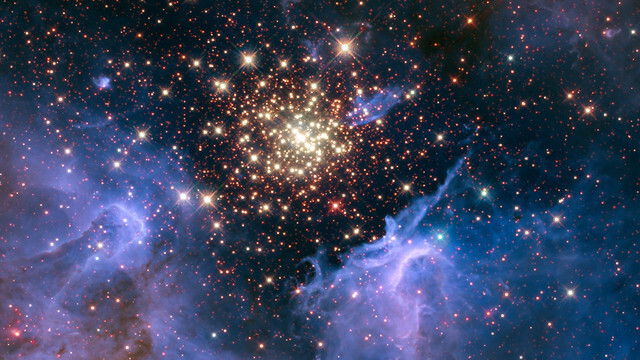 Most of the stars in the cluster were born around the same time but differ in size, mass, temperature, and color. It shouldn’t be any surprise that PTSD is an ancient condition, one as old as war. Some modern psychologists are seeking to take the war out of our veterans by looking to our mythology. My feeling – why the hell didn’t anybody think of this before? Stage One of the Website Move: Completed! Stage One of the website move is completed! 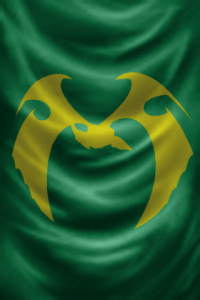 You can now read all the books from https://toysoldiersaga.wordpress.com. Stage Two, the moving of the art, begins this weekend. Crystal Spheres: Part 1 – What is a Crystal Sphere? Crystal spheres are one of the unusual features of Spelljammer that set the game apart from other fantasy space roleplaying games. Some people really like them – other people dislike them and tweak the game to remove them. I would like to tell you why I think crystal spheres are a really useful part of the SJ Universe, but first, here is a reprint of the crystal sphere article I wrote for Spelljammer Wiki. A crystal sphere, also known as a crystal shell, is an object of great size that surrounds an entire planetary system and forms a boundary that separates wildspace from the phlogiston. The size of crystal spheres is related to the size of the planetary system within them. As the name ‘crystal sphere’ implies, the objects are spherical.